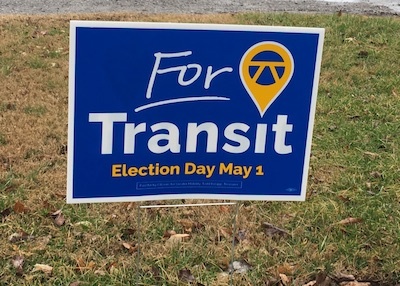 I want to share with you one of the ways that I am supporting the Transit initiative in Nashville. It’s with this sign in my yard. You can get them at the TransitForNashville.com site, and I was going to pick up another for a friend. So, I thought I would see if anyone else would like one of these. If so, just hit reply and I’ll bring one to you. One of the biggest concerns about the transit vote is that it appears to be focused on Nashville only and not the region. Which is true and a little misleading. The Transit Plan is regional in scope and touches all of the surrounding counties. However, each county has to approve their own plan and funding. And the upcoming Transit Vote is for Davidson County only. Don't worry! Our neighboring counties are watching and making transit plans of their own that will complete what we started. Without Nashville’s participation, there can be no regional transit system. So, we’ve got to act like leaders and do the right thing for the people of Middle Tennessee. This is about more than Nashville. This is about our future.